One of the most successful privateer racing teams in the 1970s was the French outfit Godier Genoud. Even if the retina-searing graphics of their racebikes didn’t grab your attention, you’d notice their riders on the podium. 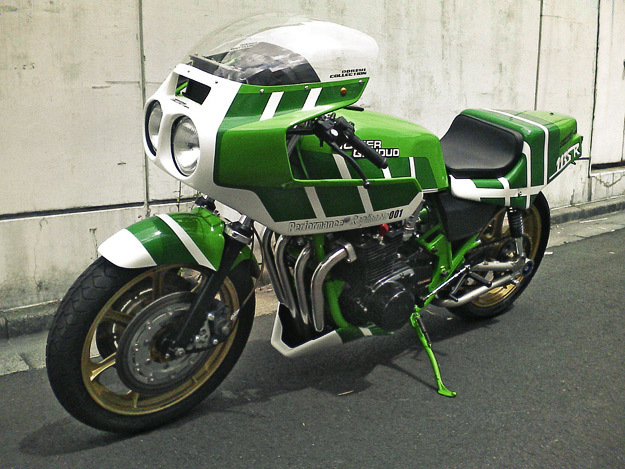 Team principals George Godier and Alain Genoud were prolific builders, and turned out so many Kawasaki-based racers that it’s hard to keep a definitive count. Ironically, it could have been Honda that enjoyed this success, but Honda rebuffed the French request for support. Godier and Genoud then turned to Kawasaki—and trumped Honda with a famous victory at the 1975 Bol d’Or. 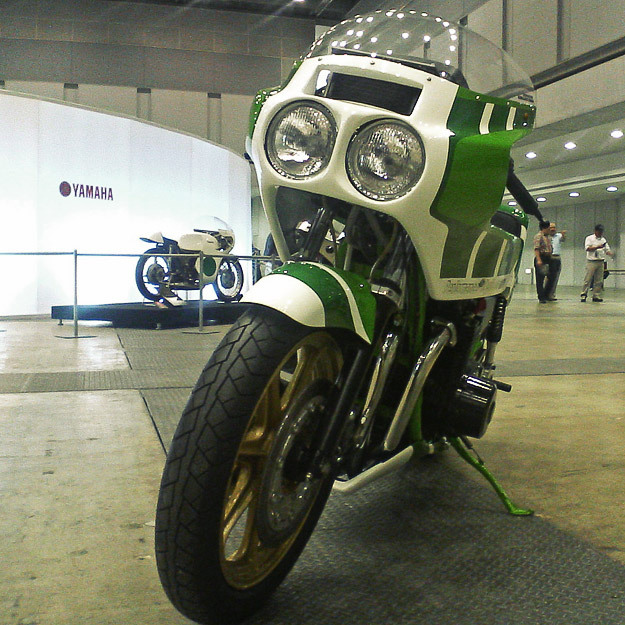 The machine in the pictures is a replica 1135R racer built by the Japanese Kawasaki tuner Doremi. Godier Genoud’s original was based on the 1000J/R from the early 80s, with the air-cooled motor bored out to increase power from the stock 102hp, and Doremi can now sell you a road-going copy for ¥4m (US$43,500). For more information on the exploits and machines of Godier Genoud, check out Team Godier Genoud Classic Compétition and Godier Genoud Passion. 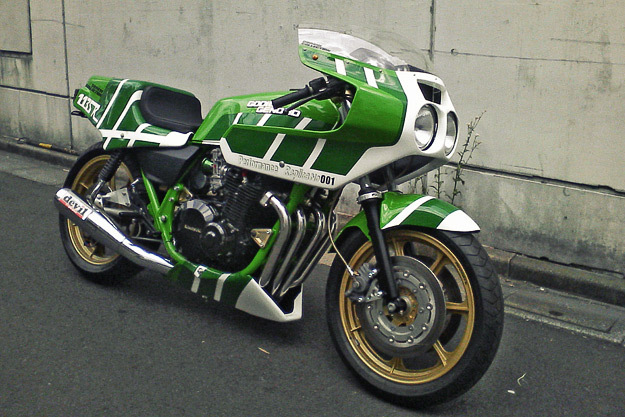 Flickr user Jano2106 has an excellent gallery of Godier Genoud Kawasakis.